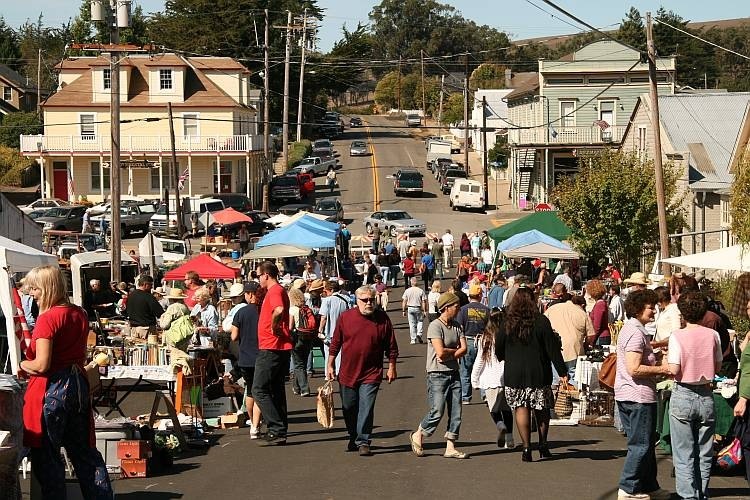 For a while now we have been seeing signs advertising the “Tomales Swap Meet” on Sunday, 21st September. One of us was intrigued as to what a swap meet might be so we set off in the morning to walk the mile or so into Tomales and investigate. The one of us who was intrigued took her camera for the walk, too. As we entered Tomales, the first sign of an unusual amount of activity was cars parked all along one side of the road. The second sign was a roped off parking lot, which might have accommodated said cars, outside the William Tell Inn from which emanated a wonderful smell of charcoal and barbecued meats grilling away on a mobile barbecue trailer. The main activity was at the crossroads that really constitutes Tomales. One arm of the crossroads was cordoned off and was filled with stalls selling all manner of bric-a-brac. A “swap meet” appears to be an event where people swap money for other folks’ unwanted dust collectors. It’s another term for “flea market”. The French call it a vide grenier which literally means “attic clearance”. Naturally, there were also the normal hangers-on selling more useful things like beer and hot dogs. Not yet being midday, it was a little early to sample those, though. After a very pleasant sunny lunch on the deck back home, watched, I might add, by a turkey vulture sitting in a tree, we decided to return to Sonoma to look around the square in daylight. It really is a delightful little town with a very relaxed atmosphere. 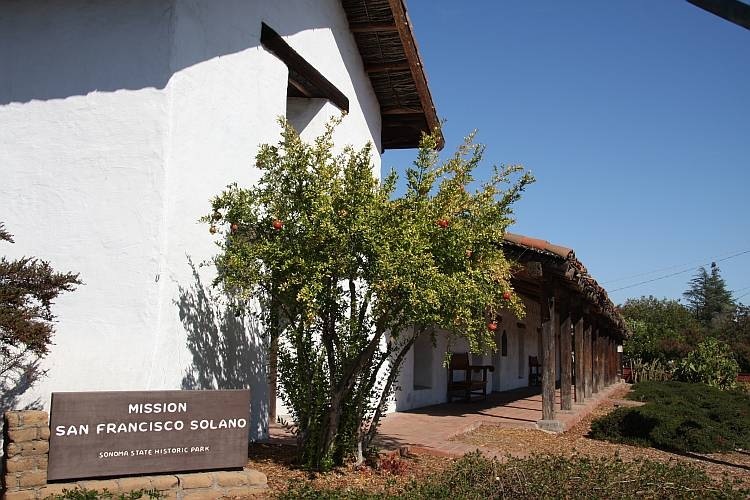 $2 buys admission to a few historic buildings: the mission, the barracks and Vallejo’s house and adobe. Mariano Guadalupe Vallejo (what a splendid name) was the founder of what is now Sonoma as a buffer between the Mexican government in the south and the then Russian presence in Alaska. As we were in the barracks, some folks were setting up for a very Mexican-flavoured charity feast to be held that evening. Our own fog-free evening feast was a Weber-grilled chateaubriand with a shallot and tarragon flavoured wine reduction.